On the 1st anniversary of the mass shooting at Marjory Stoneman Douglas High School in Parkland, Fla., 200 student journalists from across the country assembled to document and write profiles on the 1,200 Americans under the age of 18 killed in shootings in the last year. 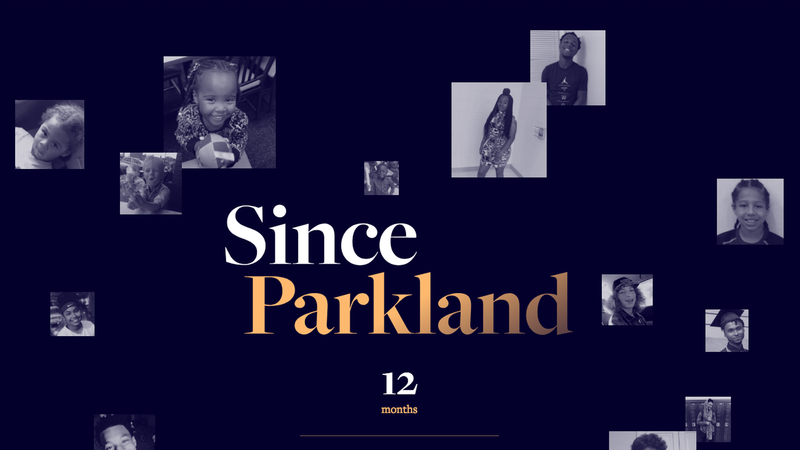 "The reporting you will read in 'Since Parkland' is journalism in one of its purest forms — revealing the human stories behind the statistics — carried out on an exhaustive scale." The newly launched multimedia initiative, titled Since Parkland, partnered with organizations that include The Trace, the Gun Violence Archive, Miami Herald, McClatchy, NowThis and Global Student Square. The victims whose stories are told were killed during school shootings, armed domestic violence, drug homicides, unintentional discharges, and stray bullets.